At 64 I'm mature, compassionate, loving, and capable with a very young heart -- my niece calls me the oldest living teenager! In short, I love children and especially enjoy reading to them. Another favorite -- singing and dancing to music while acting as silly as possible!! I've mentored, tutored, volunteered with autistic children and at Children's Hospital. One of my current clients is a six-year-old autistic boy. I also love animals and have been involved in animal welfare/rescue throughout my life. I have my own transportation and have never smoked. Diana has stayed with our special needs daughter several times. Diana is very reliable, caring and professional. We know our daughter is in good hands when we leave. I would definitely recommend Diana as a sitter. Diana assisted with care for my 82 year old father over the course of two weeks and did an excellent job. My wife and I found her to be very personable, professional and reliable. My father has dementia and mobility problems, and Diana was very proactive in providing care and companionship. During this time she also assisted with taking care of our two dogs and did a wonderful job with them as well. We would definitely recommend Diana. Diana S. helped as an in house caregiver for my 93 year old mother. She assisted her with some heathcare issues, light housework with meal preparation and companionship. Diana would do whatever we asked and was extremely reliable. We have used Diana an evening and a day, and have plans to use her again. She is very professional, and was very good with our 18 month old toddler. She was timely, and easy to contact and get along with. Though this is "Pet Sitting" section, we consider our lab our child, and Diana realized that immediately upon her initial meeting with Gracie. Not only did she visit our lab several times before her job began as "best friend", she would also drive over to walk with us so Gracie would recognize her voice, look, smell, etc. Gracie took to her immediately as I did, so I felt very comfortable having her stay in our home with our child for over two weeks. We were traveling internationally and in the "wild", with No internet access & NO phone access. Diana wrote emails daily so if I was able to find a way to log on I'd have updates; and the few times I did it was such a relief to hear about their days; where they had walked, who they had seen; how Gracie and Diana intereacted. (It was also fun upon our return to read about their previous days together!) Knowing Gracie was happy and well cared for enabled us to enjoy our international travel with no stress or worry. It is as imp't to a furball family as a human family to know your loved one is given good care and love. (and treats!) Consistency is important in order not to stress the animal and Gracie was very calm and happy in Diana's company. Diana has a very calming influence which is crucial. I knew Gracie would be in good hands as we walked together and she picked up on Gracie's signals immediately. I left many emergency numbers, friends' numbers; they even had play dates! After reading the first email a few days into our trip, I knew I had made the right choice in Diana. She is conscientious, caring and loves animals. I know that from my lab's behaviour towards her...dogs don't lie. Diana respected my instructions, my home and my labrador. I cannot imagine anyone more caring and experienced to spend over two weeks in my home with Gracie. 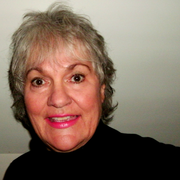 I would not hesitate to recommend Diana as a child sitter, pet sitter or elder sitter. She will definitely be Gracie's best friend from now on. We have used Diana only 1 time (because we never go out! ), but she did an excellent job then. She was easy to communicate with, prompt, and did everything we asked of her. I would certainly hire her again. Diana was excellent with our girls!! We really felt comfortable leaving them with her and knew that they would be in good hands. They really enjoyed her and are looking forward to the next time they get to see her! Thanks Diana!! Diana is very responsible and thoughtful. My daughter considers her to be her "grown up best friend." She's great at communicating with me, and I haven't had a moment's worry since she has been working with us. Highly recommended. Not only did Diana do a wonderful job taking care of our daughter, but her care extended to the well being of our plants and cat as well. We were pleasantly surprised when she took the time to help our daughter practice piano without even being asked. People like Diana are hard to come by. She is honest, kind hearted, conscientious, and creative. Thank you, Diana! We've taking several trips in the past and have used different pet sitters and even a pet hotel, but leaving our cat, Petey, and home in Diana's care was probably the best decision we've ever made. Instead of coming back to a frightened and skinny cat, Petey looked like he had been on vacation as well. He was well groomed, well fed, and relaxed. We'll definitely be calling Diana again.